Covering an area of 2.12 million square miles, Amazon rainforest is the largest tropical rainforest on Earth. It is home to 430 species of mammals, 378 species of reptiles, 400 species of amphibians, 3000 species of fishes and 2.5 million different types of insects. Not all these species are so cool. Some of them are dangerous even to humans. Here the list of 8 most dangerous Amazon rainforest animals. The sting from a bullet ant is perhaps the most painful insect sting ever known to humans. Venom-filled sting from a bullet ant would feel like being shot. That’s why this deadly ant is named so. 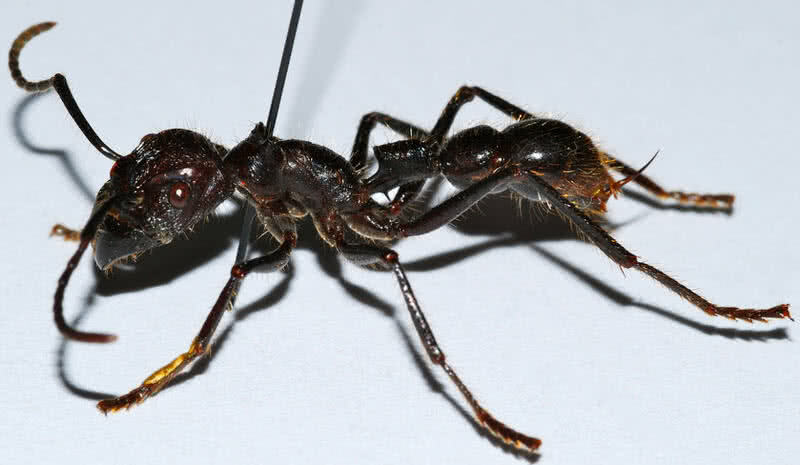 The dangerous bullet ants are found in the lowland rainforests of Nicaragua, Bolivia and Paraguay. They mainly inhabit at the bases of trees. Growing to a maximum length of 1.2 in, bullet ants are also among the largest ants in the world. Bullet ant sting is almost 30 times more painful than a honeybee sting. They use such intensely painful sting solely for the defense. When threatened, no matter whether it’s a large animal or a human, bullet ants will sting repeatedly. Their venom contains a paralysing neurotoxin called ‘poneratoxin’. It causes intense pain, burning and swelling. Typically, the pain of bullet ant sting will last for 24 hours. ‘Phoneutria‘, The Greek name of Brazilian wandering spider means ‘murderers’ in English. 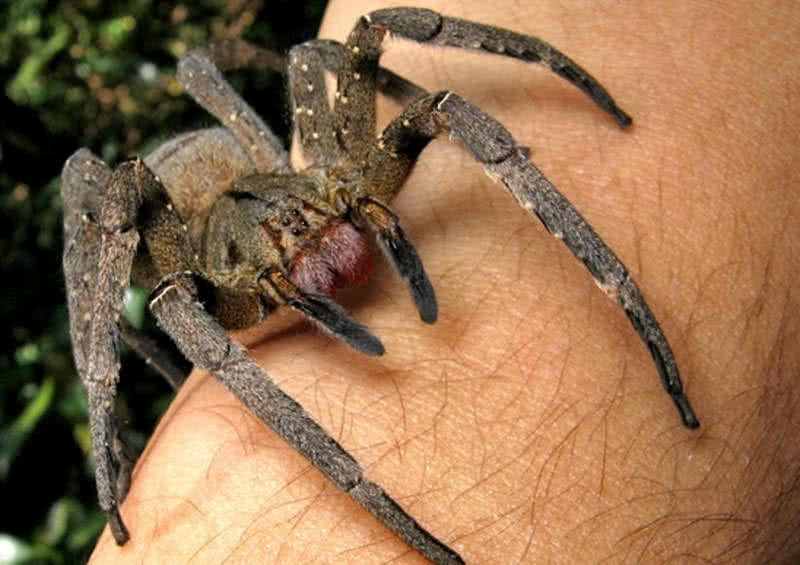 As name suggests, Brazilian wandering spider is the deadliest living spider in the world. Instead of building webs, they wander on the jungle floor. That’s why they called so. This extremely aggressive and deadly spiders found in Amazon rainforest of several South American countries including Brazil, Peru, Ecuador and Venezuela. They also found in many human inhabited parts of Brazil. Brazilian wandering spiders are nocturnal creatures, forage for food only at night. During daytime, they hide in some parts of the houses, under rocks or fallen logs. As a result of this behavior, the chances of their encounter with humans are higher. Once disturbed, Brazilian wandering spiders will bite repeatedly. They are also famous for showing a defensive display by lifting their body on hind legs. Venom of Brazilian wandering spiders contains poisonous neurotoxin. It causes swelling, extreme pain, breath problems and blurred vision. Without immediate medical attention, the bite could also result in death, especially to young children. Fortunately, there is antivenom available for the bite of Brazilian wandering spiders. This pit viper species is among the most deadliest Amazon rainforest snakes. They found in savannahs and semi-arid zones of Amazon of Brazil, Venezuela, Guyana and Colombia. They grow up to a length of 1.5 m and known for their distinctive stripes. There are nine subspecies of South American rattlesnakes found in Amazon rainforests. The different coloration is the only noticeable difference between the subspecies. With the distinctive stripes, South American rattlesnakes can be well camouflaged within their environment. So it can be very difficult to spot this deadly snake. But they only attack when provoked. 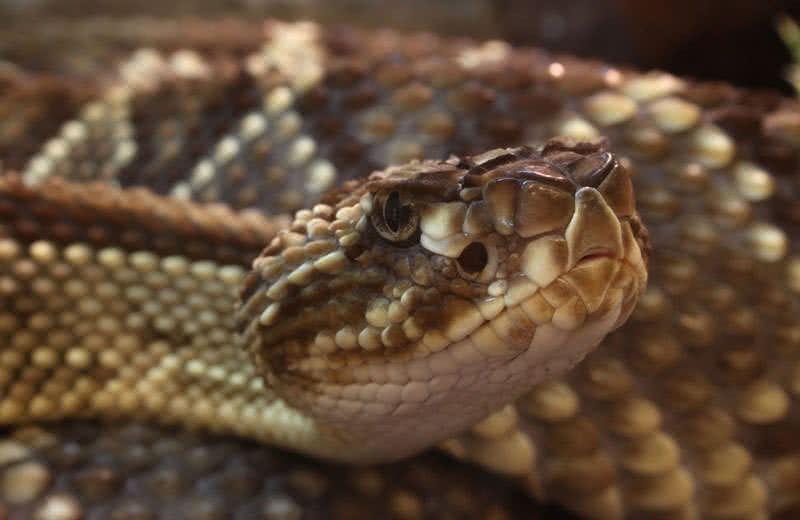 When threatened, South American rattlesnake will coil up and hisses as a warning sign. They only bite when threatened or disturbed for a long time. The venom of South American rattlesnakes contains the potent neurotoxin. So, the bite can result in blindness, auditory problems, paralysis or even death. The piranhas are probably the most feared predator of Amazon rainforest. Apart from the media image, the powerful jaws and razor sharp teeth of red-bellied piranhas force us to believe so. 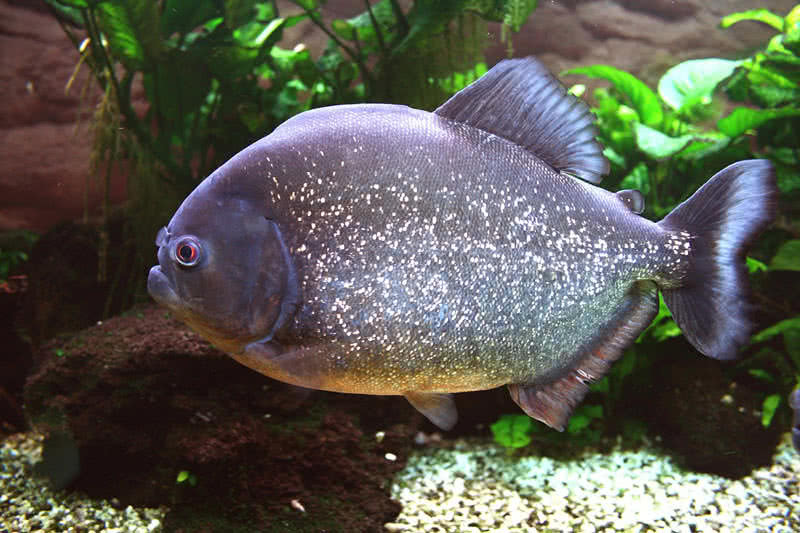 But contrary to common belief, piranhas primarily feed on fishes, insects, mollusks, crustaceans, algae and seeds. The group attack from red-bellied piranhas is rare. During starving period or when provoked, they attack in a group. A group of hungry piranhas will attack almost anything they found within their range. To your surprise, a group of piranhas could strip even the flesh of a large animal within minutes. The sharp, triangular teeth and powerful jaws aid them in such an attack. The red-bellied piranhas not always aggressive towards humans. Piranha attacks on humans are rare. However, in the dry season when food is scarce, they may attack even humans. 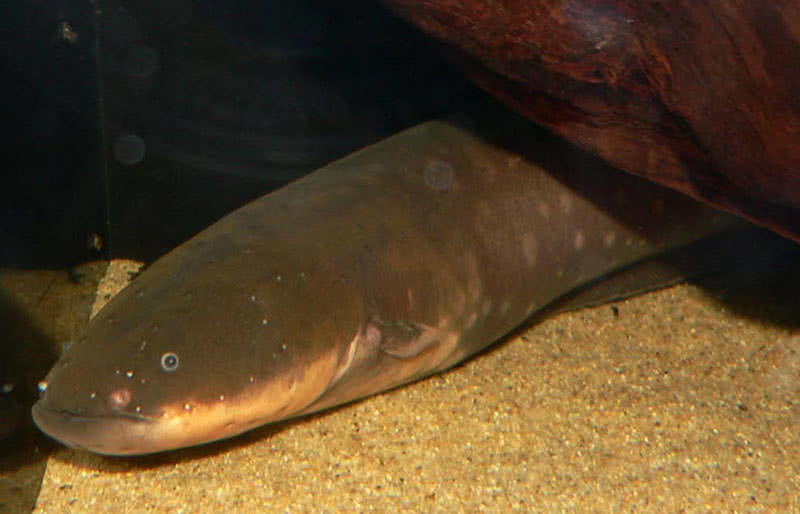 Electric eels are not actually eels, but they belong to knife fish family. This extremely dangerous species found in freshwaters of Amazon. Electric eels are named after their capacity to generate enormous electric charge. The electric eels grow between 6 ft and 8 ft in length and almost 20 kg in weight. Their body contain special electrical organs that feature 6000 electrolytes. Together, these electrolytes could generate a maximum electric charge of 600 volts. Electric eels use their electric discharging capability to defend against the predators and stun the preys such as fishes, small mammals, amphibians, and birds. Fatal attacks on humans by the electric eels are very rare. But the shocks from electric eels result in stunning of jolts and the multiple shocks may even lead to heart failure. 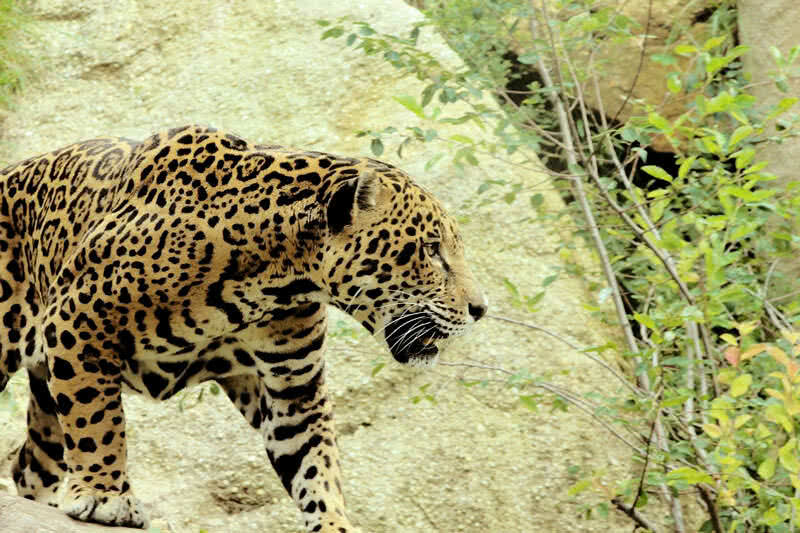 Jaguars are among the most endangered and deadliest Amazon rainforest animals. They found in a number of habitats including rainforests, deciduous forests, grasslands, and woodlands. Measuring 43-75 inches in length and up to 135 kg in weight, the jaguars are the largest member of cat family called Felidae. 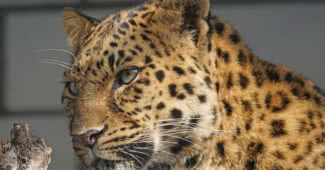 Even though both jaguars and leopards have same rosette patterns, jaguars are heavier than leopards. Also, the leopards not found in the Americas. They distributed throughout Africa and Asia. Jaguars have the most powerful bite than any other big cats including tigers and lions. Their bite is strong enough to pierce through the shell or skull of animals. It makes them one of the deadliest animals of Amazon rainforest. Jaguar is a solitary animal, get together only during mating season. They hunt typically at dawn and dusk. Jaguars will make a sudden attack on their prey. With powerful jaws and sharp teeth, they will crush the skull of the prey within no time. Growing between 6m and 9m in length and up to 250 kg in weight, the green anacondas are the largest living, non-venomous snake in the world. The found in swamps, marshes, streams and rivers of Amazon. 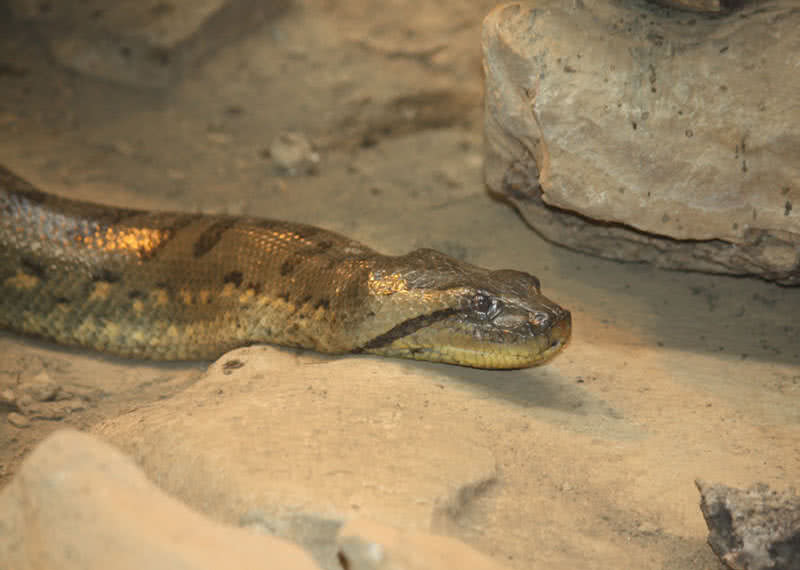 The green anacondas found most of time totally submerged river or marshes. Still they can breath as their nostrils and eyes located at the top of their head. This large, non-venomous snake kill its prey by constriction, will squeeze the prey until it stop breathing. Then the anacondas will swallow the dead animal by the whole. Their diet mainly includes deer, caiman, crocodiles, turtles, and fishes. Fortunately, green anacondas are not man-eaters by nature. There is only a few documented attack on the human by anacondas. But the large size and strength make them dangerous to humans. Poison dart frogs are probably the most deadly creatures of Amazon rainforest. In the Amazon they found in marshes, lakes, swamps, streams and rivers. 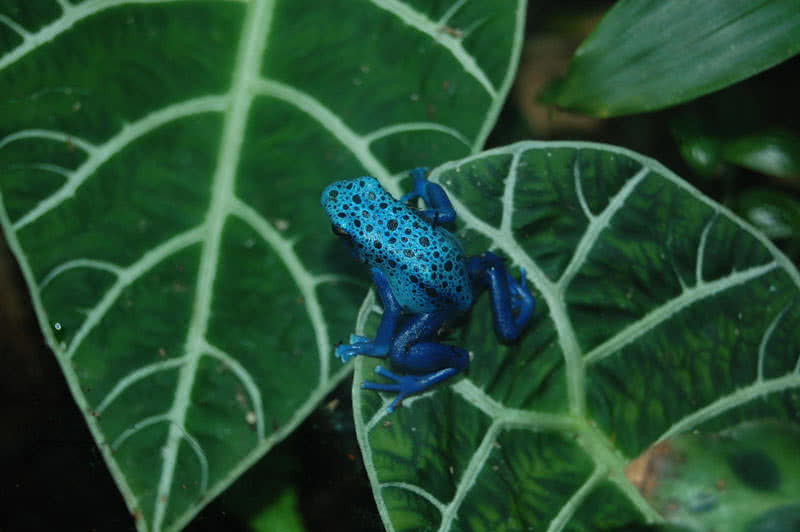 Depending on the habitats, the poison dart frogs found in different colors including gold, copper, red blue or green. The golden poison dart frog is the most poisonous species of the family. It is estimated that they contain enough venom to kill 10 adult humans. The brilliant skin color of poison dart frogs is actually a warning to their potential predators. If any predator tries to eat a poison dart frog, the highly dangerous poison found in their skin causes swelling, muscular paralysis, nausea, and even death. It has found that this species of frogs in captivity are not poisonous. In the wild, the poisonous dart frogs gain the highly dangerous poison from their diet such as ants, centipedes, and termites. The poison found in these insects are derived from the plant they eat. Leimadophis Epinephelus, a special kind of snake found in Amazon rainforests is the only natural predator of poison dart frogs. They can eat the poison dart frogs without being affected by the dangerous toxin.